Home » Technology » The Humble Vacuum Cleaner – Who Invented it ? The Humble Vacuum Cleaner – Who Invented it ? The vacuum cleaner is perhaps the only invention whose history begins with a handkerchief stuffed in a man’s mouth. The mouth belonged to British engineer Hubert Booth who, in 1902, sucked at a chair’s upholstery through his hanky in order to confirm to himself that, when it came to collecting dust, sucking was better than blowing (he was considering the merits of an early device that only displaced dust temporarily by blowing it from the surface it had settled on). Sure enough, his handkerchief was filthy once he’d finished. He then set about putting together the world’s first vacuum cleaner, and the result was a device so large it could not be taken into buildings! The huge motor and pump had to remain on a horse-drawn carriage in the street while a hose nearly 250 metres long was taken into houses and offices. 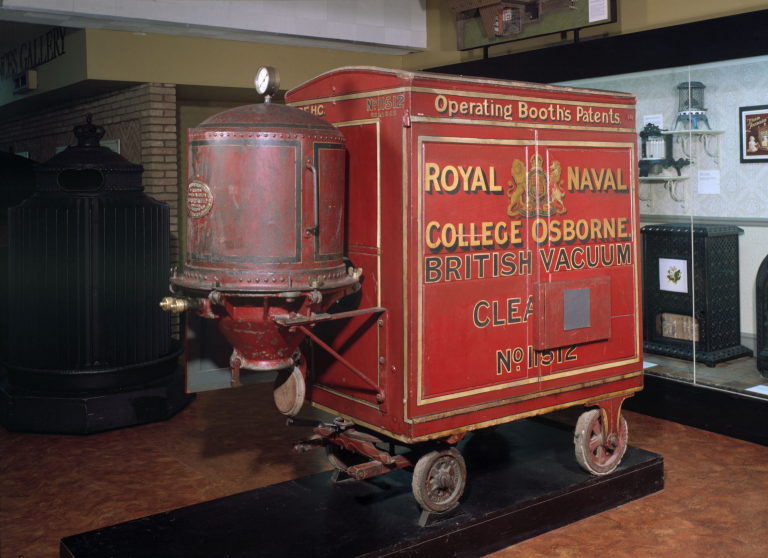 Though admired by King Edward VII , Booth’s vacuum business eventually faded. The man responsible for the development of the domestic vacuum cleaner was James Spangler. A janitor who suffered From nasty asthma, he pined for a cleaning method that got rid of the dust that brought on his attacks, and invented a machine to do just that. The idea was simple he took an electric fan and connected it to a pillowcase, which was connected to a broom handlIe and a rotating fan. The vacuum created caused dust-filled air to be pushed into the bag. Spangler had created the first upright vacuum cleaner. Soon enough his cousin’s husband, William Henry Hoover, realised the huge commercial potential of such an appliance and promptly purchased the rights in 1908. 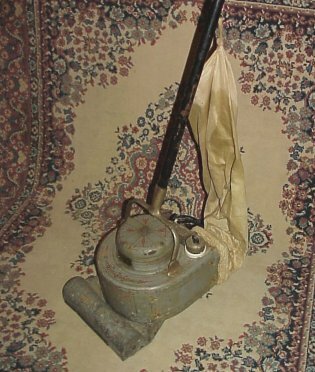 That same year, the first Hoover went on the market, and the company went from strength to strength. A household name in Britain ,such was the ubiquity of the brand that people use the word ‘hoover’ to refer to any brand of vacuum cleaner, and ‘to hoover’ is now used as a verb. The basic principles of the vacuum cleaner remained fundamentally the same for many decades until James Dyson invented the cyclonic vacuum cleaner. Aware of the problem of clogged-up bags causing reduced suction in vacuum cleaners, and inspired by an industrial cyclone – a device used to remove dust from air leaving a factory – he felt that a bagless, and more efficient , vacuum cleaner must be possible . He was right, and from the moment of his initial idea it took 5 years and 5,000 prototypes before a final design was arrived at. The first Dyson was produced in 1993 and they are now the most popular vacuum cleaners in Europe.